Summer Sungazing: Hosting a Solar Eclipse Garden Party on August 21! This summer sees one of the rarest and most beautiful gifts that nature has to offer: the total solar eclipse. A solar eclipse happens when the sun is blocked off by the moon, creating what looks like a ring of fire in the sky. Full solar eclipses aren’t that common, especially ones that are as close to Earth as this August’s eclipse will be. The next eclipse that will be this close and full won’t take place until 2024! This August 21st offers us a fabulous opportunity to gather with friends, enjoy the beauty of the outdoors, and revel in the wonders of the sky and the celestial bodies above. Make your garden party almost as memorable as the eclipse itself with these fun and classic solar eclipse viewing tips. Put on your sunglasses and invite everyone over for a once-in-a-decade party! In an ideal world, we’d all be able to jet our guests off to one of the country’s best eclipse viewing sites, such as those offered in the Midwestern United States. That said, there are plenty of options for viewing the eclipse from the comfort of our own homes. For the best experience, I recommend complementing a low-key backyard viewing with the official NASA telecast on standby. Just make sure you check out this handy eclipse timing map to schedule your event around the time that the view of the eclipse will make its way to your home base. While the first ideas that come to mind when planning a space-themed party might revolve around ten-year-olds’ birthdays, I find that if I focus on the beauty of the eclipse itself, I can create a fun and classy eclipse-themed party perfect for the outdoors. 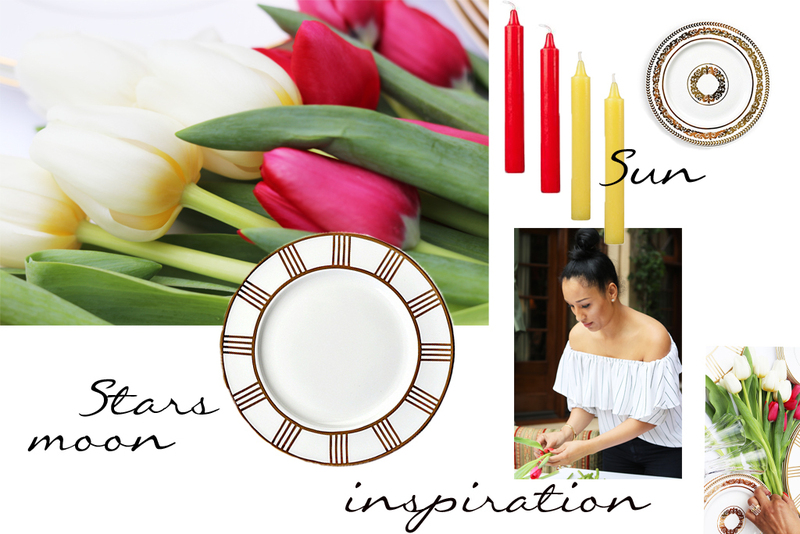 Using the solar eclipse as my inspiration, this August 21st I plan to use reds and yellows against a gold and white backdrop for my color palette. I’ll bring in some fabulous gold elements from our highly matchable Lionel Richie Home Collection to represent stars, and a few pops of color with red and yellow candles to symbolize the sun. Let your imagination guide you—and remember that when it comes to decorations, a little color goes a long way. Plus, the sky will provide the perfect backdrop for your lovely summer gathering. 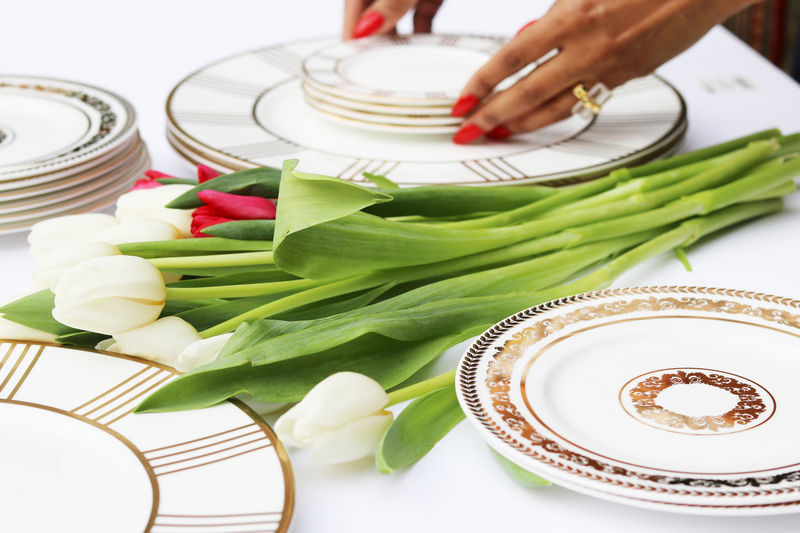 Keep in mind that since most of us in the U.S. will be enjoying the event in the late morning or early afternoon, some daytime-friendly décor is in order! Because an event like this is so rare, I like to take the opportunity to really splurge in terms of my meal planning. While I usually try to serve healthy meals, this time I plan to go decadent and offer an array of dessert and drink options. For some fun space-themed cocktails, I’ll prepare a sweet tequila sunrise (tequila, orange juice, and grenadine) and the Sinatra-inspired Fly Me to the Moon (Bootlegger, egg white, grenadine, absinthe, and lemon juice). In case it’s a bit too early for your guests to indulge, I always put together a mimosa bar for brunch and morning garden parties. This gives people the option to enjoy a light splash of champagne or to create their own fun mix of orange and other juices, sans the liquor. For snacks, try some traditional Chinese mooncakes and Taiwanese suncakes. They’re easy to make and delicious—plus, they’re said to bring both love and luck to anyone who eats them! 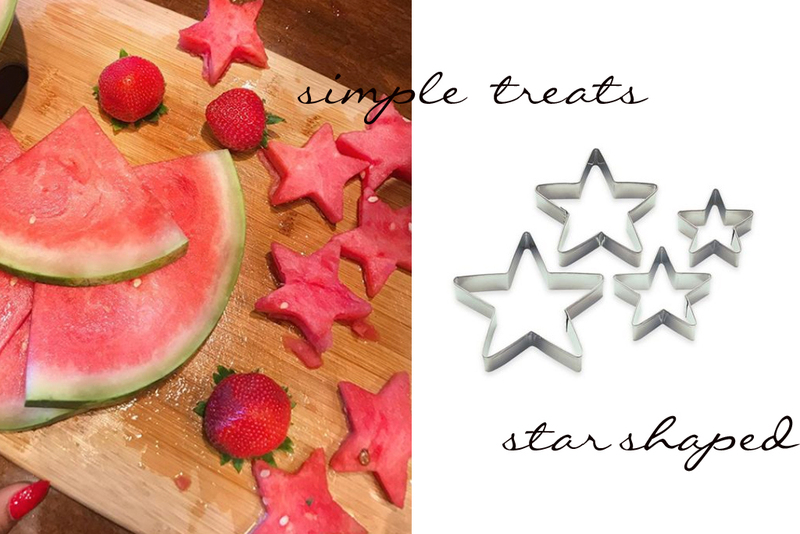 You can also bust out your Fourth of July cookie cutters to make some star-shaped cookies, Jell-O, or watermelon for other fun, simple treats. While many of us may have been a bit careless as kids, watching a solar eclipse without proper eye protection can be extremely damaging to our vision. I always take care to protect my eyes from the sun’s harsh rays on normal days, but looking straight up at the sun requires a whole other level of protection! The good news is that you can prepare some simple eclipse viewers to protect your eyes—check out these easy instructions for DIY card projectors. With the next solar eclipse almost a decade away, an August 21st viewing party in the garden can be a great way to fully enjoy the event and share it with your loved ones. Celebrate this gorgeous natural sight with some of these fun tips and make the occasion one to remember for decades to come!